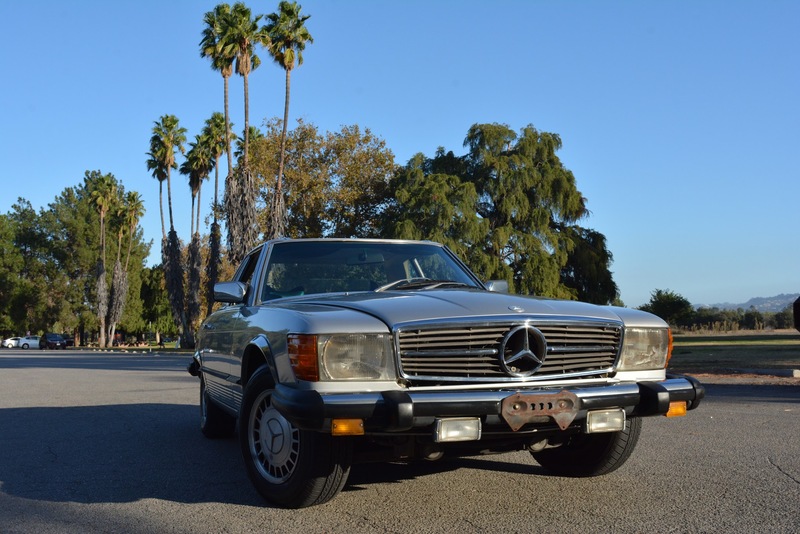 1979 Mercedes Benz 450SL w/ 167k Mi. in Astral Silver with black interior. Starts up easy, and runs well. The engine is healthy. Good power, good oil pressure. No smoke out of the exhaust. Tight steering box, good suspension and brakes. Repainted once in the original color. Very presentable a 7.5/10. Rims have a hub lock with special key. Clean title, books, manuals, few misc. receipts. According to the previous owner the soft top is fine, but the glass is foggy.